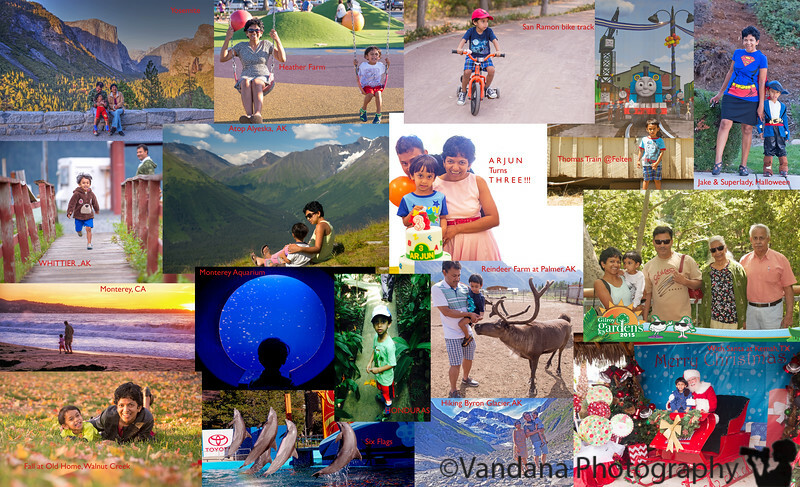 December 31, 2015 - A very busy three year old's whirlwind travel diary - Yosemite in March, birthday party in April, Gilroy Gardens in May, Day Out with Thomas in July, Alaska in August, Monterey in September, Six flags @ Vallejo in October, Santa at Christmas, and Caribbean cruise in December ! He's a lucky little guy to have such adventurous parents! Great collage!